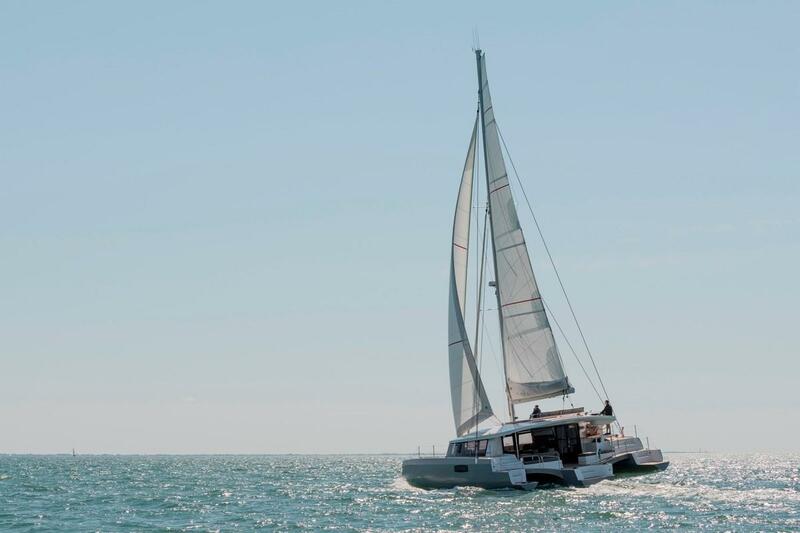 *Base pricing not including options or delivery. 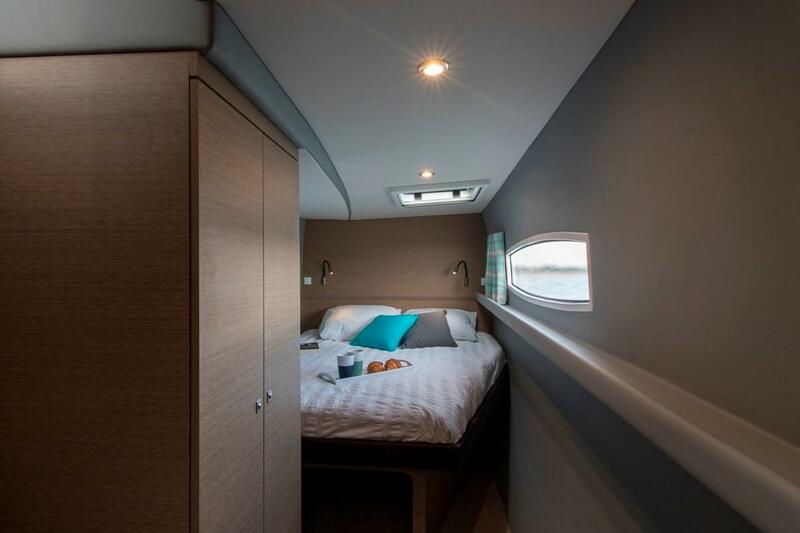 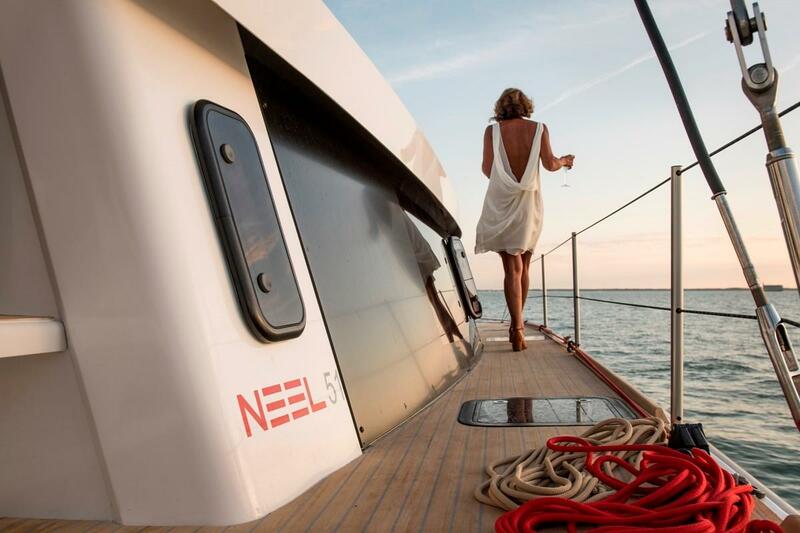 The NEEL 51 combines the benefits of its predecessors (NEEL 45, NEEL 65) with performance and comfort in mind. 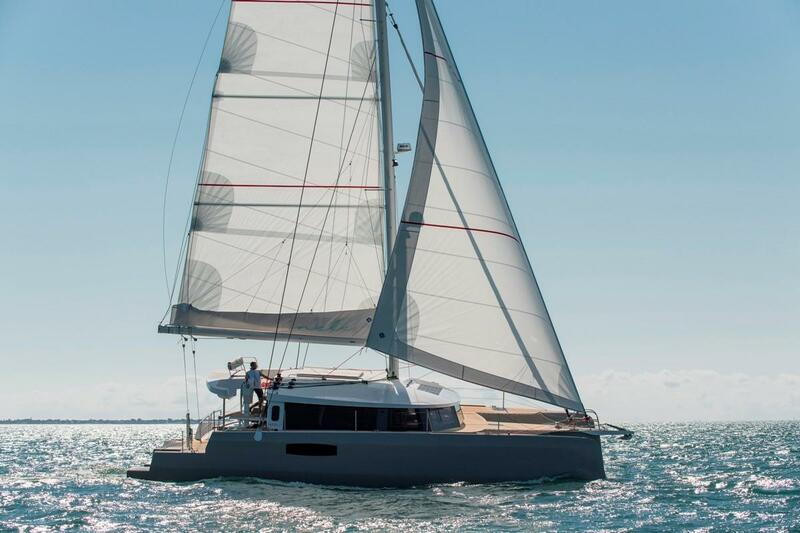 The NEEL 51 is a blue water boat designed to be manageable by small crew with ease of maneuverability in mind. 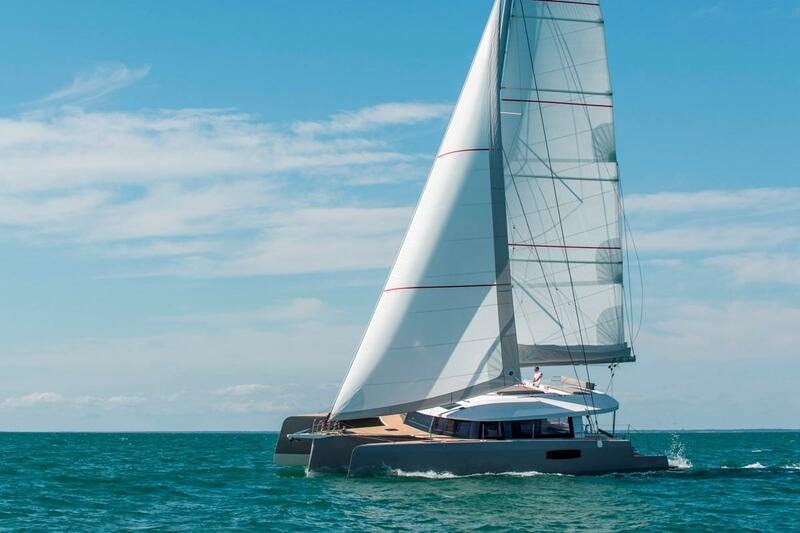 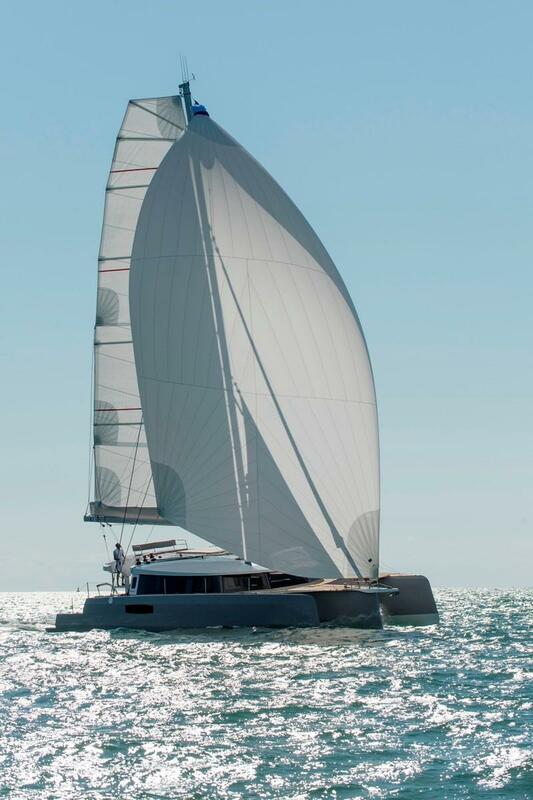 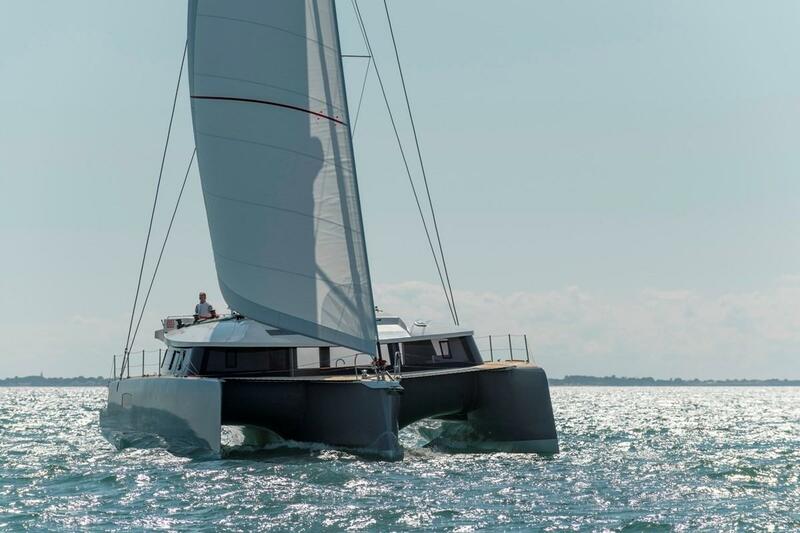 The newest design from NEEL, the 51 boasts a modern design with clean lines, smooth seakeeping, and speed in mind. 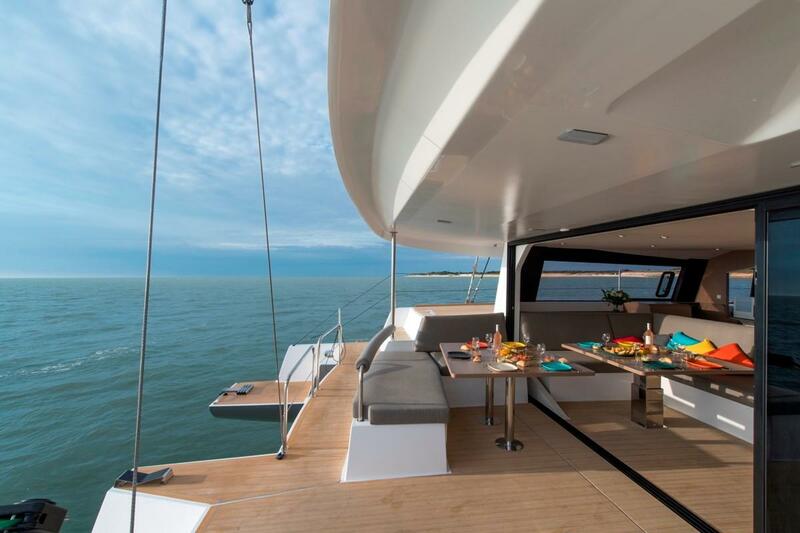 The 51 features 4 cabins, 4 heads, and 2 optional forward beths. 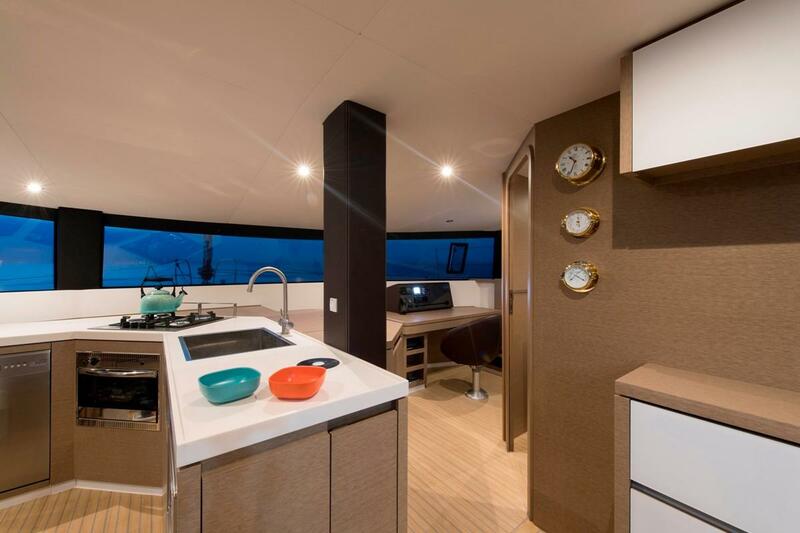 Large panoramic windows allow for a beautiful view and bright space in the salon. 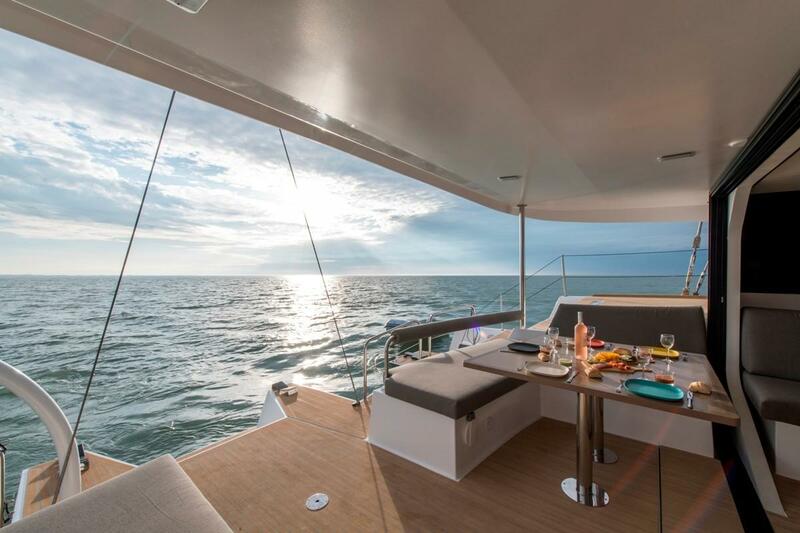 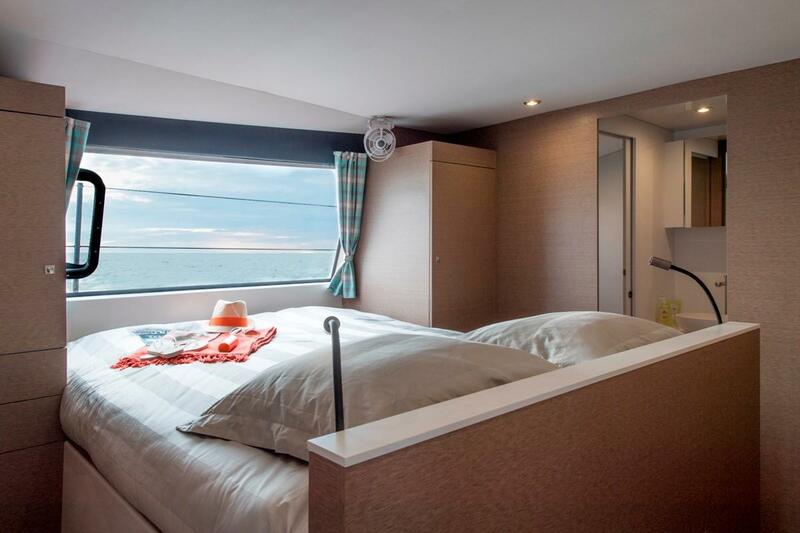 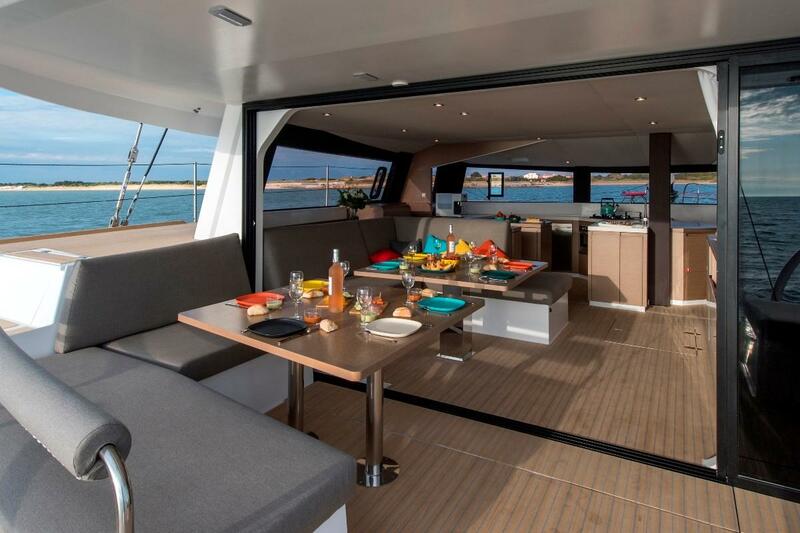 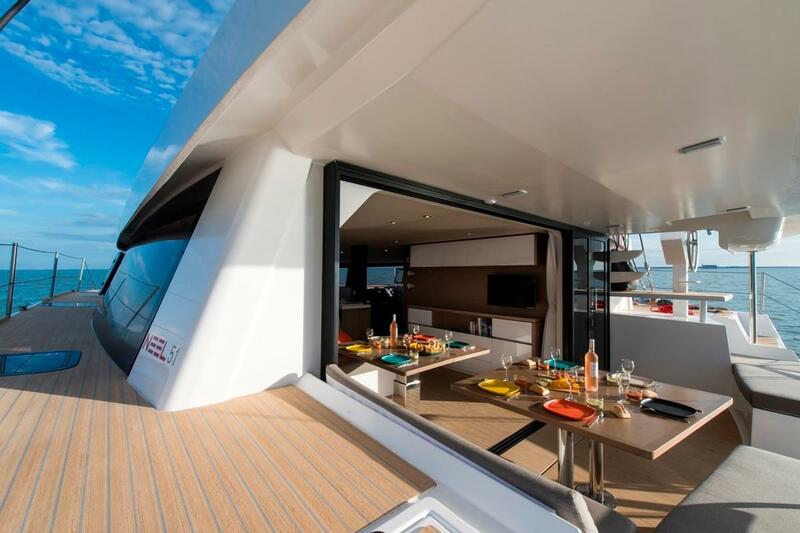 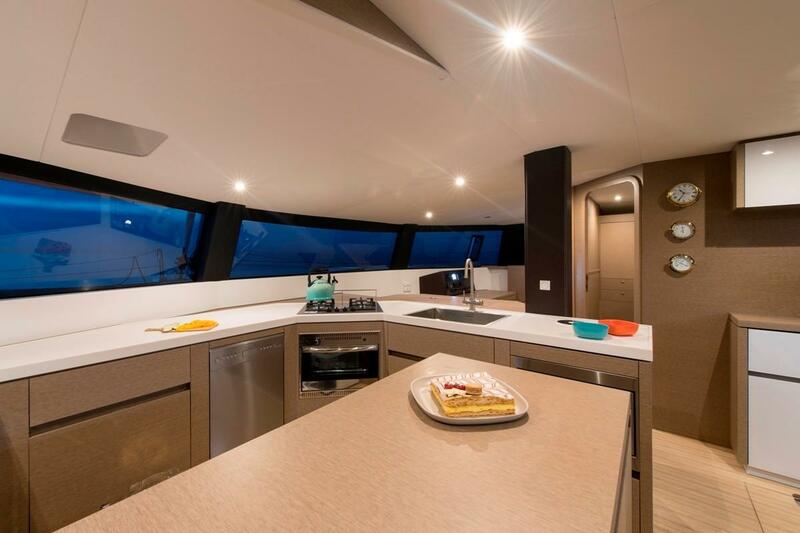 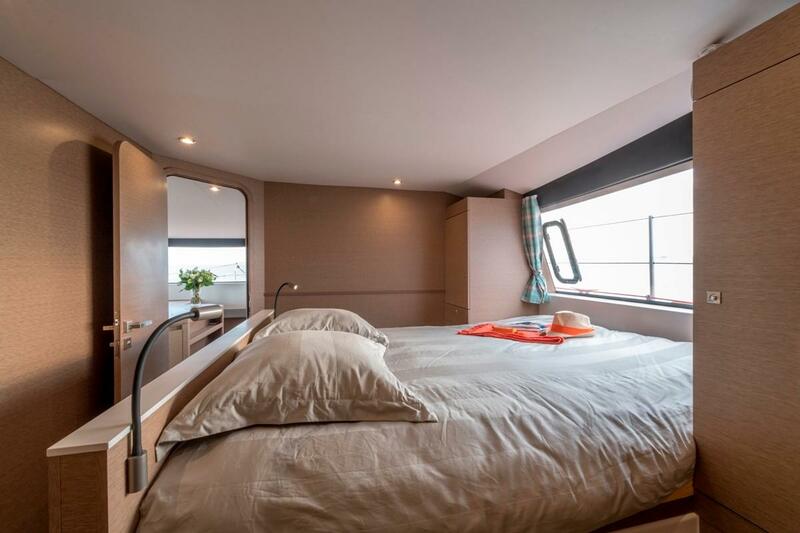 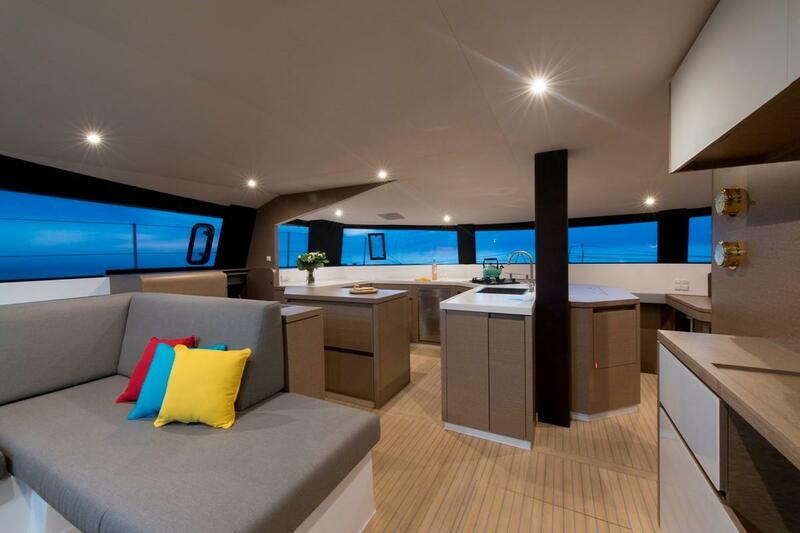 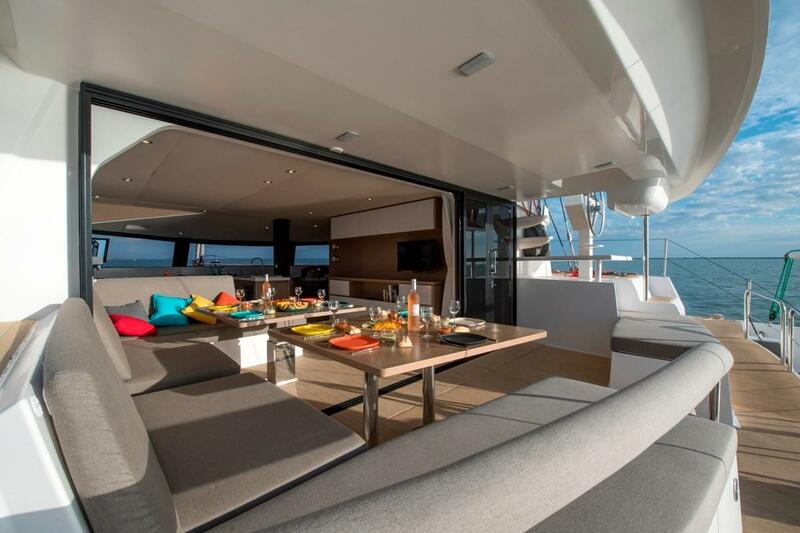 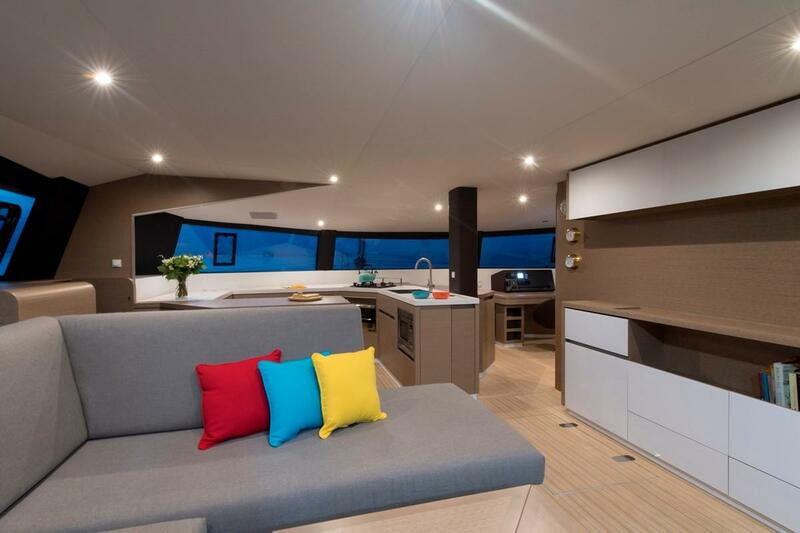 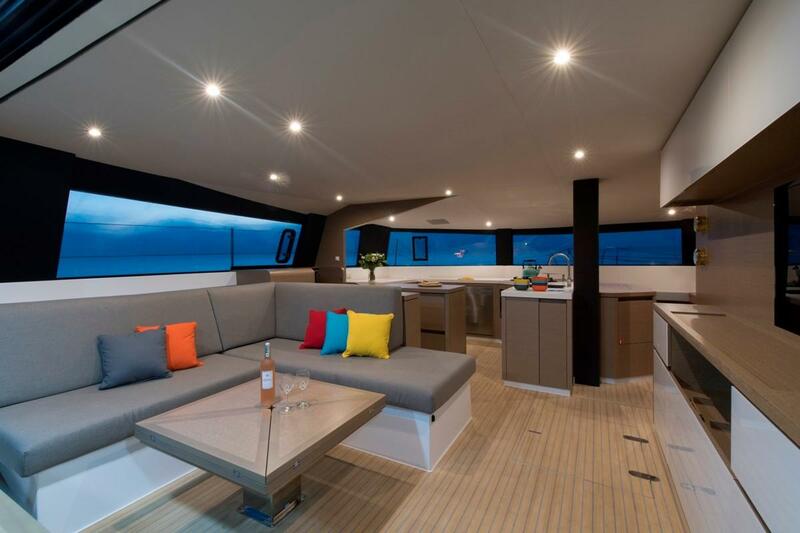 The salon of the NEEL 51 features plentiful space for dining and entertaining, opening to a spacious cockpit featuring an outdoor galley.